How to overcome the Great Firewall of China and use Facebook and Google without using VPN | Cheaponana.com - The best credit cards in Singapore and other deals to help you save, earn and maximise your money! If you ask anyone who has been to China, they will tell you how frustrating it is to not be able to surf Facebook or Google on the hotel WIFI. If you make a simple search on the internet, most websites will simply tell you to access using VPN, but that also means additional cost will be incurred. Now, I shall reveal a little know secret about how to access Facebook and Google in China using your mobile phones, and it depends who’s your local provider. For those who have been going overseas and buying local prepaid simcards to avoid expensive roaming charges, that’s not necessarily a bad choice if you are able to get a cheap local SIM card with a large enough data plan for your trip. With the ubiquitous use of messaging apps like Whatsapp, Line or Wechat, who needs to SMS or call these days? However, if you need to keep your Singapore number active because of personal or work reasons, then you may want to consider activating the ReadyRoam plans. Now, there are 3 separate plans starting from $12 to $35 – depending on where you are headed to! For all these plans, you can use up to 1 gb of data within a month, and anything more would be prorated at the same rate at which you pay for (e.g. if you use 1.5gb in USA, then you will pay $35*1.5=$52.50 in total). If you refer to the above diagram, China is found in both the $20 and the $35 plan. If you are planning to go multiple countries within these 30 days, then take the more expensive option since it covers more cities. 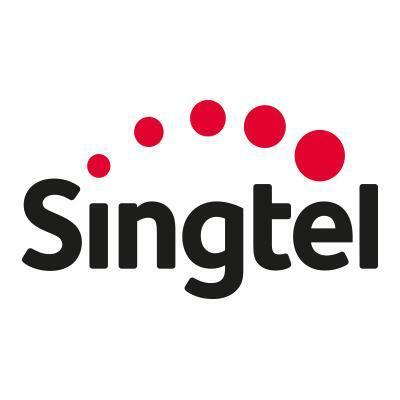 Now, when you are overseas roaming using Singtel, if you check your i.p. address, you will find that it is still singtel. As such, you can use all your Facebook messenger, Google maps or even the google search engine with ease while you are there! Happy with this new found knowledge? Well, continue reading and you will find an even cheaper option! Instead of paying for roaming using your usual simcard, if you do not mind switching your simcards, pay $15 and get the Starhub happy prepaid SIM. You get $18 in terms of value, and this amount can be used to buy data plans $5 for 1gb of data over 3 days or as much as 3.6gb over 30 days at a low cost of $20! What’s so special about this card is that you actually get free roaming in the following countries – Australia, China, Hong Kong, Indonesia, Japan, Malaysia, New Zealand, Philippines, South Korea, Taiwan, Thailand, UK and USA! Hence in China, Starhub partners China Mobile and you actually get 4G service over there, which is what you can see in the screenshot below. Which part of China did you use the Happy roam at? How was the speed? May I know when did you try it in Beijing? Hi, just to check for the Starhub Happy Roam, meaning there is already VPN access with it? So, I will be able to access FB/Whatsapp/Google after putting the sim card, no extra setting or using a VPN app? Yes, no need extra settings, just plug it in and start using when you are overseas! Hi, thanks for sharing the info. Am going to Lijiang, tibet & Chengdu. So I just get the happy roam package n I am able to access watts app n Google? This is definitely a great saving compared to renting Changi wifi router with VPN. Yes, there should be no issue, but the smaller cities coverage may not be as good as the bigger cities like Beijing and Shanghai. Will appreciate any feedback post trip!